Sociological Students Say [Child] Labor Is Responsible for Distaste for Work. Certain of the Chicago child lovers and sociological students just now engaged in investigating the child labor conditions of Chicago believe that they have discovered reasons for the swift betterment of these conditions far more important and weighty than those usually advanced in this connection. Not only is the normal growth and development, physical, mental, and moral, of the child who begins work too early or who labors excessively impeded, stunted, and ruined, but such a child is in grave danger of contracting a disease which will presently prevent him from working at all. "Moral fatigue" is the name given this disease by the Chicago people who have studied and discovered it. "Moral fatigue" it is, according to certain of these students, which makes many a man a tramp. "We all feel more or less privileged to laugh at the tramp, for some mysterious reason," said Miss Jane Addams recently, addressing the members of the Chicago Business Woman's club on "The Business Woman's Opportunity for Philanthropy," "although why we should feel so authorized to laugh at this particular brother man I am at a loss to understand. Certain it is, we should not laugh so readily did we realize that the tramp has frequently been made such by conditions largely beyond his control. "Child labor, undertaken too early or performed to excess, is responsible for a large number of the tramps and ambitionless wayfarers of America. The boy or girl who works too early is surfeited with labor, bankrupt of ambition, long before the time when work should properly begin at all. "At Hull House we have been observing these facts, collecting this data, for six or seven years, ever since the last wave of interest in child conditions and child labor. It takes nearly ten years to secure any reliable or valuable data of this kind. And we notice that the child workers who were bright and eager and ambitious when commencing work some six or seven years ago are different nowadays. Nearly all of them are dull and lifeless, lacking energy, and without ambition: many are actual tramps. "I have in mind particularly a remarkable little lad of 10 or 11 who performed wonders at the beginning of his working days, some seven years ago. He supported an aged grandmother then, in large measure, and helped take care of some younger children; he walked to and from the city daily in order to save every possible penny. Well, that boy had a severe attack of typhoid fever later and he made but a poor recovery. 'No constitution,' said the physician who visited him. The boy had been worked out simply and neither his strength nor ambition ever returned to him. He slipped gradually into the tramp condition. I tried my best to keep track of him for years, but it finally became impossible. Here was a clear case--but by no means extreme or unusual--of the bright boy ruined for life by beginning work too soon. "Everybody knows the bad effect of a surfeit of any good thing. Few of us but can remember some bit of childish overindulgence which forever spoiled our enjoyment of that particular effort or article. I myself cannot think, even now, of a particular kind of molasses candy without a feeling of nauseating disgust; I ate too much of it at one time. The boy or girl who begins work too early finds him or herself in presicely that condition when the interest, excitement, and variety of the first two or three years of work have evaporated. In [time?] and terrible fatigue, both physical and moral, inevitably overtakes such children, the boys in especial, and they frequently beome tramps." 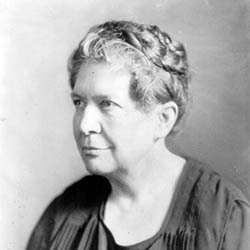 Mrs. Florence Kelley, in a recent public address, attributed much evil to the holiday "rush," which provides many young children of both sexes with the opportunity to begin work "down-town"--in the stores, candy factories, and places where candies, greens, and other holiday articles are made in great quantities. "The chance of money quickly earned during the holiday season has caused many children to forsake school, and, after having worked during the time before the holidays, they often remain out of school althogether," was her statement of these conditions. "In the region around Hull House we find any number of boys and girls about 18 or 19 years old who are suffering from what we term moral fatigue. They will not work and will not try to get work. These boys and girls, we think, have lost their energy and power through overwork, cause by tremendous physical effort when they were too young to bear the burden." T. D. Hurley, chief probation officer of Chicago, unhesitatingly confirms these opinions from his own experience. Newsboys, he believes, provide the sole exception to the sociological rule to the effect that "the child who begins work too early never amounts to much as an adult." 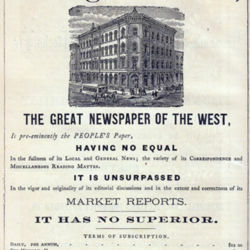 Newsboys, he declares, while stunted in physical development from lack of sleep and irregular hours, suffer less depletion mentally than do other child workers because of their superior opportunities to secure sufficient food, their outdoor existence, and the fact that they have change and variety in plenty. "The child in the store or factory, on the other hand," says Mr. Hurley, "rarely funds much use for the intellectual part of his nature. Often it is a question of doing the same thing--pasting a label on a can, for instance--over and over again, without variety or cessation. The child naturally grows dull and jaded. Then, when the factory works slips away from him, as it must inevtitably do under present conditions, there is the finest possible material and opportunity for the future tramp. In fact little else is possible to such a child." The last statement is true, according to the sociological students and workers of Chicago, for two reasons. First the child has lost the desire and ambition for work. Secondly, there is no work for him, no work that he can do. Stunted in growth and physical development by the premature endeavor, performed under faulty conditions, he is not capable of manual labor. He is too old to be willing to go back to school, too old for the learning of a trade to be easy. So, almost inveitably and because he cannot help it--he frequently becomes a tramp. For the girl who works too early, and who acquires no adequate, or lasting education, or occupation of any kind there is an alternative of starvation wages in a factory or of slatternly house and homekeeping. Girls, however, while becoming quite as dull and fagged mentally, "stick it out" better than the boys and keep on working until they marry--or die. The Chief Probation officer, also, agrees with Mrs. Kelley in her statement that the holiday child worker seldom goes back to school. "Let such a child have a taste of money, of independence, of the excitement of earning a living, and he is usually doomed." Mr. Hurley declared. "A dollar looks bigger to the person of fourteen than $100 would look to an older person. Three dollars a week is a fortune. But, three and four years later, three dollars a week seems mean and trifling, and even this is wrested from the premature worker before long. Present conditions will not permit of paying more than a pittance for the untrained labor which is all that such a worker can perform. Another lot of premature workers replaces the unfortunates who have grown too old for that particular kind of unskilled effort, and--there is the making of a lot of tramps again. Add to the difficulty of securing work the moral fatigue and lack of energy and ambition, resulting from too early indulgence in it, and you will get a situation difficult, indeed." Other well known and interested child students of Chicago tell similar stories, unhesitatingly support and confirm the "moral fatigue" theory which makes much adult laziness the result of premature labor, and the unthinking indivuduals, employers and surface philanthropists alike, who make it possible for children to go to work too early are severely reproached. 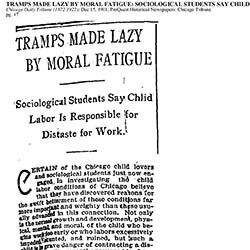 "Tramps Made Lazy By Moral Fatigue," Chicago Daily Tribune, Dec. 15, 1901, p. 47. 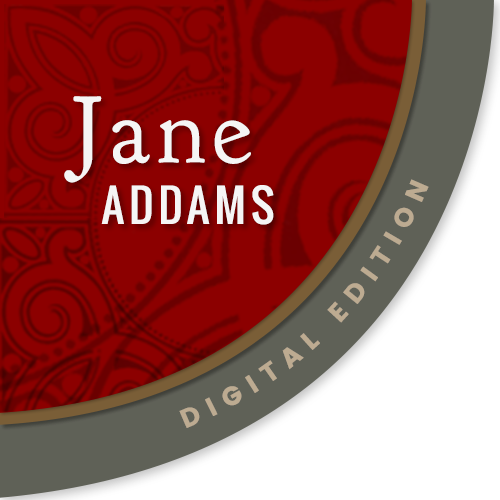 Addams, Jane, “The Business Woman's Opportunity for Philanthropy, November 19, 1901,” Jane Addams Digital Edition, accessed April 22, 2019, https://digital.janeaddams.ramapo.edu/items/show/1268.